Thanksgiving Fun Literacy Centers Plus Bonus Math Centers!!! 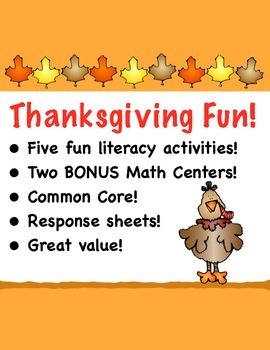 Get ready to celebrate Thanksgiving with these FUN, Common Core based literacy centers! Each one includes a title page and activity pieces for you to laminate plus a response sheet for students to complete. This holiday-themed set makes for GREAT reading practice! Activity info is below! 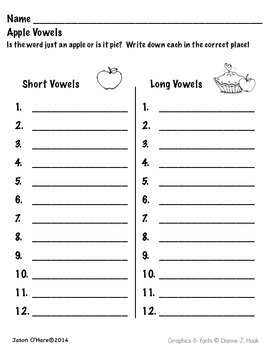 Students sort words into two groups based on long or short vowel sounds. Students sort main idea and detail cards into three levels. Students read two Thanksgiving texts then compare and contrast the details. Students sort word beginnings into -ce and -ge piles in order to complete words. Students match present tense words with their past tense partners. This packet also comes with two BONUS math centers!!! Students create a graph with Thanksgiving foods. Students sort numbers to create fact family equations. 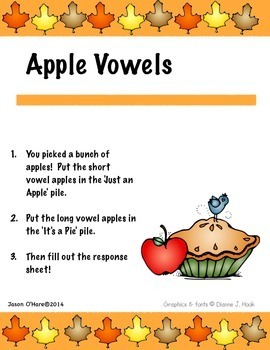 Please check out my FREE Vowel Digraphs Literacy Center to see my work. And thanks for checking out my product!